Chukale Afro-Cuban Salsa Ensemble Directed by percussionist and lead singer Gustavo Cereijo, eleven-piece Afro-Cuban Salsa ensemble Chukale has been delighting Australian audiences since 2005. 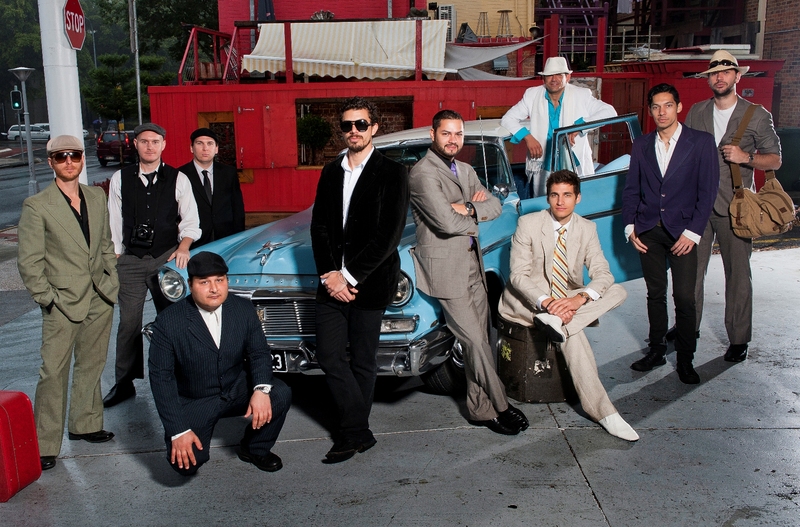 A benchmark for Latin American music in Australia, Chukale has supported touring international Salsa icons Sonora Carruseles from Colombia, Venezuela’s multiple Grammy award-winner Los Amigos Invisibles and Grammy award-winning Cuban cultural institution Los Van Van and Afro-Cuban All Stars. 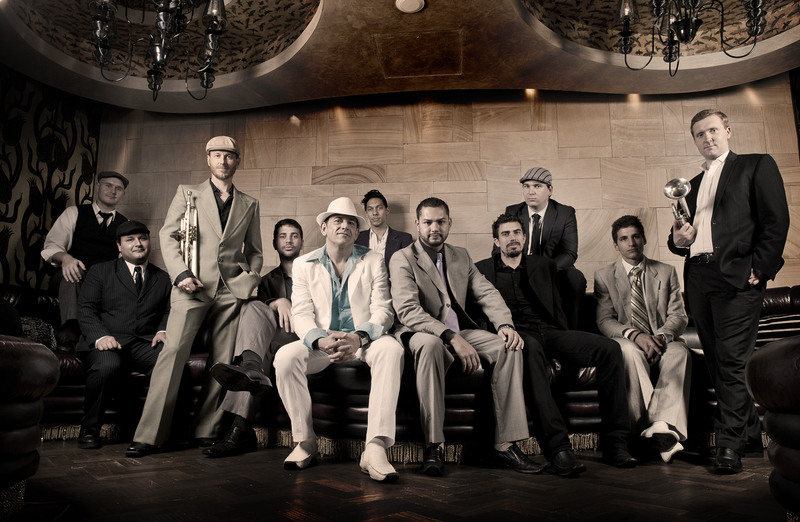 Chukale is dedicated to showcasing the cream of international Latin American talent. Legendary Buena Vista Social Club lead singer Felix Baloy and flautist Poblitu Tamayo recently paid Chukale its greatest compliment to date by recording with the band. 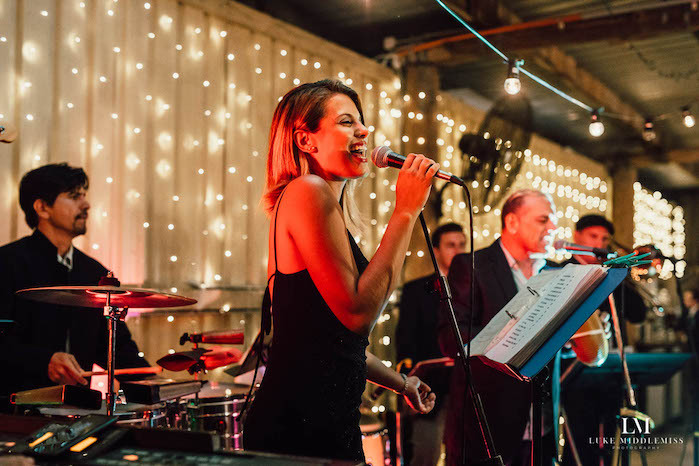 Uruguay’s multi-gold record selling vocalist Gonzalo Porta and gifted Cuban pianist Marialy Pacheco have graced Chukale’s recent stage performances. The band built its reputation working from the ground up with residencies in a variety of Brisbane hot spots including Cloudland, the Alhambra Lounge, Uber and Barsoma, and at Byron Bay’s famous Beach Hotel. They’ve ignited World Music festivals and events including the Woodford Folk Festival and Bellingen Global Carnival (2007), Darling Harbour’s Fiesta Festival (2008) and the Sydney Salsa Congress (2009). On stage, Uruguayan-born conga maestro Gustavo Cereijo teams with Alex Nesevski on timbales, drummer Sacha Kloostra, Daniel Gonzales on percussion and bass player Steele Chabau to form the band’s driving rhythm section. The Conservatorium-trained brass section comprises trumpet players Bob Schultz and Shannon Marshall. Also on trombone Shane Hannan teaming with Joseph Roberts on baritone and flute, who combine with pianist Christo “El Pulpo” Iconomidis give’s the band its unmistakable Salsa signature. The band is completed by John Sanchez on vocal, who adds further energy to the stage with his unmistakable talent as a “Salsero”.